Service Contractors Plumbing happily offers North Texas our residential plumbing services. This page list our service areas for plumbing service. If you don’t see your area on the list, please visit our contact page to make a special request, as we do try our best to work with each customer. 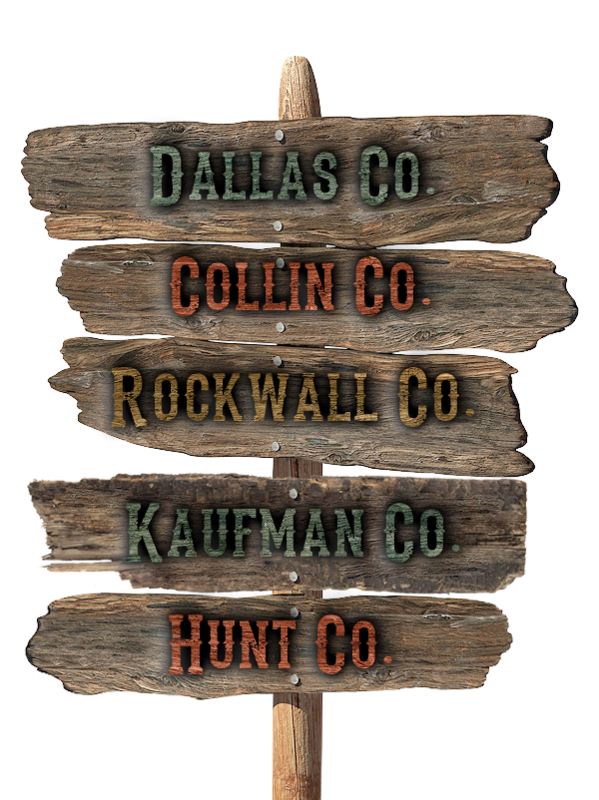 We offer plumbing services for the following counties: Dallas County, Collin County, Kaufman County, Rockwall County and Hunt County. We do make exceptions on occasion, so if you are just outside the service area please give us a call to inquire about that. Also please be aware that we schedule our calls geographically, so we don’t typically have an estimated service time until the day of your appointment. In order for our plumbers to see all of our customers in a quick and efficient manner, we must put our calls in geographical order. Service Contractors plumbing offer all of its services to our service areas. Each technician has a broad education in plumbing, so every technician will be able to service any plumbing need that could arise in your home. Every plumber is carries common parts on his truck, however with size restrictions of their vans or trucks, and with the large variety of make and model of parts, they may not have your specific part needed to complete the call the same day. In the event that they don’t have the part, the technician would return usually next business day. If the part is a rare or specialty part, we may have to wait for the part to ship. We do check on the parts on a regular basis and make it one of our greatest priority to return with parts as soon as possible.